Are they any better for you than fries? No idea. But they include a green thing, and they are wrapped in meat, so I’m going to sort these into the “health food” category over fries. They’re easy to make, and best fresh from the oven, so these are a great option to feed hungry guests before a dinner party. Or serve with some greens and eat them all yourself. 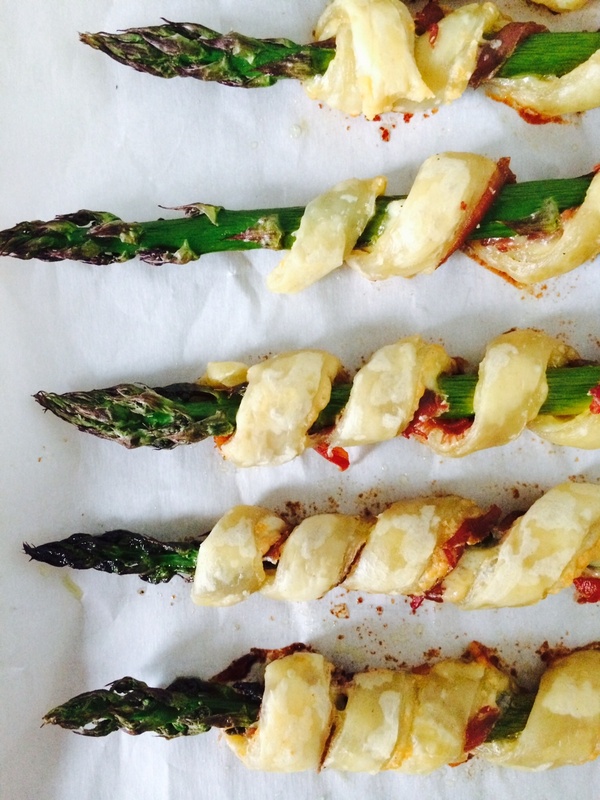 Asparagus is in season at Minnesotan farmer’s markets right now, so grab a bundle and up your side-dish game. 1. Lay your puff pastry out on a flat surface. Sprinkle the shredded cheese evenly over the top, and press gently to make sure it sticks to the pastry. This will make your life easier later. 2. Lay the slices of prosciutto on top of the pastry. Line a rimmed baking sheet with parchment paper and set aside. 3. Slice the puff pastry vertically (the short way), creating 1/2 inch strips of pastry, cheese, and prosciutto. Starting at the base of each asparagus spear, wrap the pastry, spiraling upward, until you reach the top, or run out of pastry, depending on how large your stalks are. Press the pastry firmly together at the top to make sure it doesn’t come apart. 4. Space your asparagus spears on your lined baking sheet, and bake at 400 degrees for about 15 minutes, or until the pastry is golden brown and cooked through. 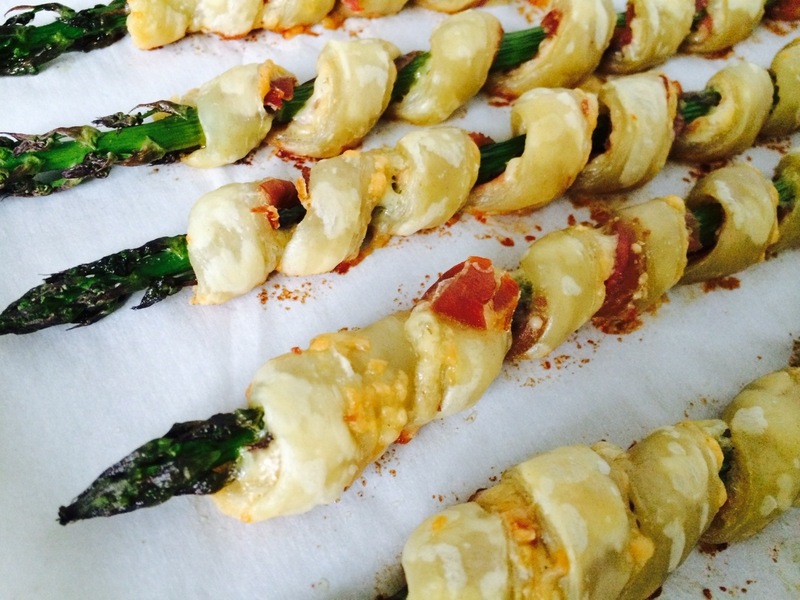 This entry was posted in Uncategorized and tagged asparagus, baked side dish, prosciutto, prosciutto wrapped asparagus, side dishes by theculinarycapers. Bookmark the permalink.